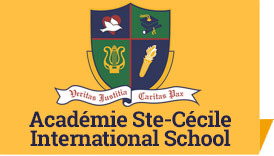 Académie Ste-Cécile International School (ASCIS) is a private, co-educational, day and resident, elementary and secondary school committed to academic excellence. ASCIS is founded and based on the principles of the Roman Catholic Church. We are committed to the ecumenical movement with great sensitivity to inter-faith dialogue by respecting the religious and cultural diversity of students and faculty. Inspired by the principles of the Roman Catholic Church, these symbolize Académie Ste-Cécile International School’s great sensitivity to ecumenism and inter-faith dialogue. 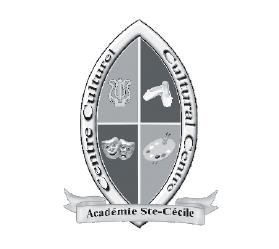 Académie Ste-Cécile is extremely proud to offer a wide variety of fine arts programmes such as Dance, Music and Visual Art. 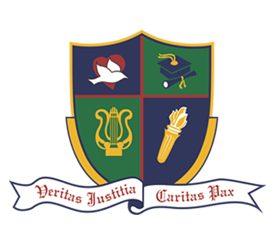 At Académie Ste-Cécile, we seek the excellence of knowledge (“truth”) in all subjects and disciplines. The ASCIS staff understands the importance of complementing a sound mind to a healthy body. 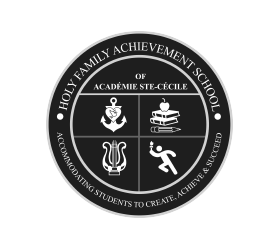 Académie Ste Cécile International School is a private, co-educational, day and resident, elementary and secondary school committed to excellence. ASCIS provides a challenging and comprehensive education encouraging our diverse student body to be responsible, productive and ethical citizens while emphasizing the skills to think creatively, reason critically, communicate effectively and respect people of all cultures and ethnicities. 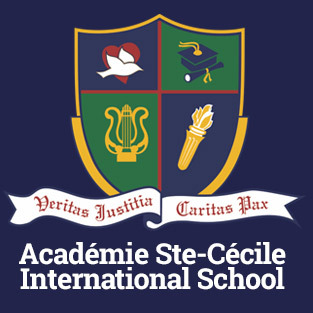 Académie Ste Cécile International School retains its ties to the Roman Catholic Church while welcoming students and teachers from many religious backgrounds. Appreciate religious and cultural diversity. To educate, support and prepare students to meet life’s challenges with confidence.